This retro-licious platformer is a love letter to games like Commander Keen and Jazz Jackrabbit, but does it deliver on its nostalgic promises? Our review. If you grew up on the platformers from the '90s that really set the world of PC gaming ablaze like Commander Keen and Jazz Jackrabbit, or even the indomitable Halloween Harry/Alien Carnage, Rad Rodgers is for you. It's a retrolicious adventure from the minds at Slipgate Studios, formerly Interceptor Entertainment, meant to remind you of those golden days of your youth where you'd fire up good ol' MS-DOS for a round of Apogee shareware or something like it for a few levels, then pine for the full game, but your parents weren't having it. Maybe that's just me. You don't have to have grown up with these kinds of games to appreciate what Rad Rodgers has to offer, though. 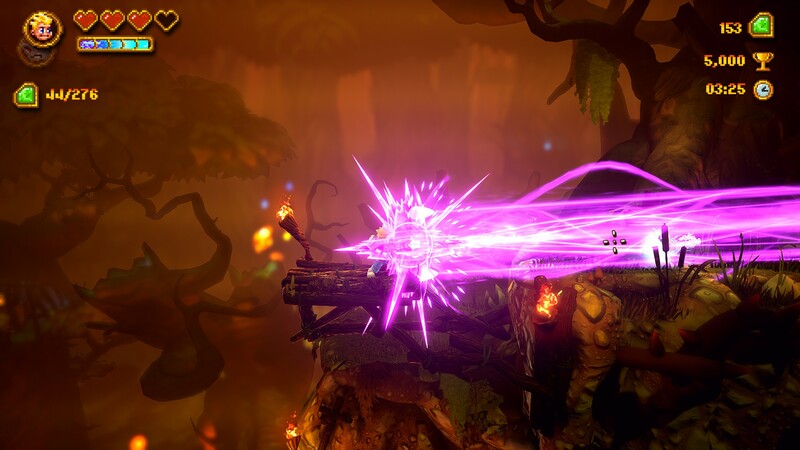 It's accessible to anyone who enjoys platforming and blasting enemies to shreds. 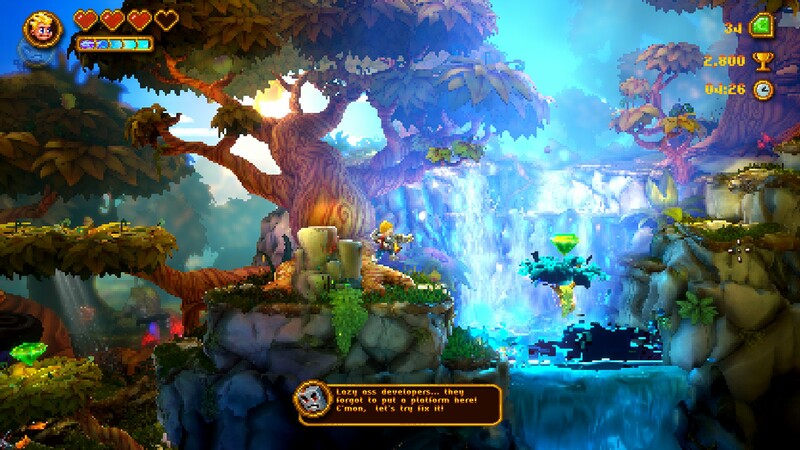 If you're looking for a snappy, modern tribute to the classics of yesteryear, Rad Rodgers will scratch that itch nicely. Rad Rodgers stars the unlikely duo of a young boy named Rad and his sentient console sidekick Dusty. Rad lives in the '90s, loves video games, detests school and everything that comes with it, and brushing his teeth. Enter his buzzkill mother, who tells Rad that he needs to brush his teeth and go to bed or he'll never get his "toy" (Dusty) back. Moms are lame like that, always trying to make you do things you don't want to do for your "health" and things of that nature, so Rad climbs into bed without brushing his teeth and starts snoozing. That night, however, Dusty comes alive with a weird glitch on the TV. It wakes Rad up from his sleep, and before he knows it, he's been sucked into the console. Talk about a rude awakening. Dusty becomes Rad's faithful sidekick, voiced by the iconic Jon St. John of Duke Nukem fame, and he instructs Rad to grab a gun while exploring the corrupted world inside of the video game realm. The once peaceful forest enemies have been twisted into negative versions of themselves, as well as the Elder Tree, the guardian of the land. It's up to you to take up arms against the enemies there and restore the Elder Tree to its former glory. Rad Rodgers is set up like a classic platformer with plenty of modern elements, which mostly means that it looks a sight better than its predecessors with slick new graphics. Otherwise, it's pretty familiar stuff. You need to collect 100 gems for an extra life, uncover secrets throughout the levels including Lion Trophies, and destroy all the enemies in a stage to get a bonus. Things like that give the game a nice arcadey feel that'll have you waxing nostalgic right away. To restore peace to World One, the only game world you'll explore right now in Rad Rodgers, you'll need to rely heavily on Dusty as well as your trusty sidearms. This includes your default weapon and several others you'll find along the way. If using a mouse and keyboard, you can use the mouse to help aim Rad's gunfire in a much more precise manner than via controller, so the game effectively combines classic platforming with more modern elements like precision aiming by way of the mouse. You'll come by power-ups like Rapid Fire, Phoenix Cannon, Laser Blade, and Bomb Barrage as you explore each level, and you can swap between them as you see fit. Dusty is an invaluable resource and can help you jump, navigate long piping sections to climb to unreachable areas, and even help put a beatdown on enemies. He's also there to crack wise along the way, sprinkling in a hefty dose of adult humor that you can choose not to hear before playing the game if that's how you'd rather play it. 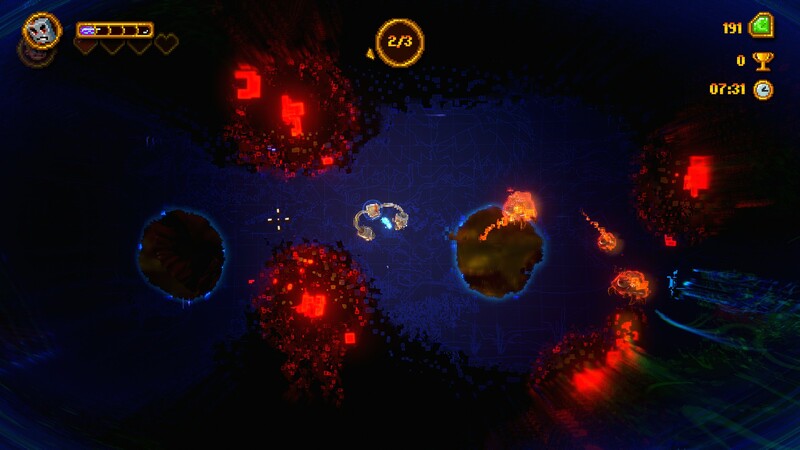 Most importantly, he has to navigate code-like sections of each level known as the Pixelverse to help repair corrupted areas so you can get through the stage. You'll come across a "hole" in the level, for example, that you need to enter as Dusty. Dusty will need to navigate the Pixelspace while collecting pixels inside so he can remain in there and patch up the glitch. Rad will wait in the real world until Dusty's finished, usually repairing a ledge or two or punching some rocks out that need to be in the actual level. It can be frustrating when Dusty runs out of pixels, and you'll find yourself having to jump back in again and again if you're not careful, especially on higher difficulties. These offered an interesting way to break up the levels sometimes, but they began to feel a bit repetitive after doing the first few and then having to try again and again to repair what was broken. It's still an interesting way to keep things fresh when it's first introduced, even if it does become a little overused at times. In truth, the levels themselves can become repetitive as well, since there's not a very wide variety of enemies or terrain to explore, and given that the game itself is quite short, you may feel like you're treading familiar ground too much. That's one of the game's biggest faults, especially when you consider that to complete a level, you must collect four pieces of a key called an "Exit Chunk" to proceed. They're scattered throughout the levels in a willy-nilly fashion. Sometimes you need to retread parts of the level to find one of the four parts, which can quickly become annoying. It felt like less natural progression than artificial lengthening of what were sometimes astonishingly short levels. This only began to really be a pain in later stages, but it's one part of the nostalgia mechanics the game relies on that probably should have been nixed. On the flip side, one newer idea pulled from current games is the Photo Mode, something I'm a big proponent of including in most, if not all games, going forward. 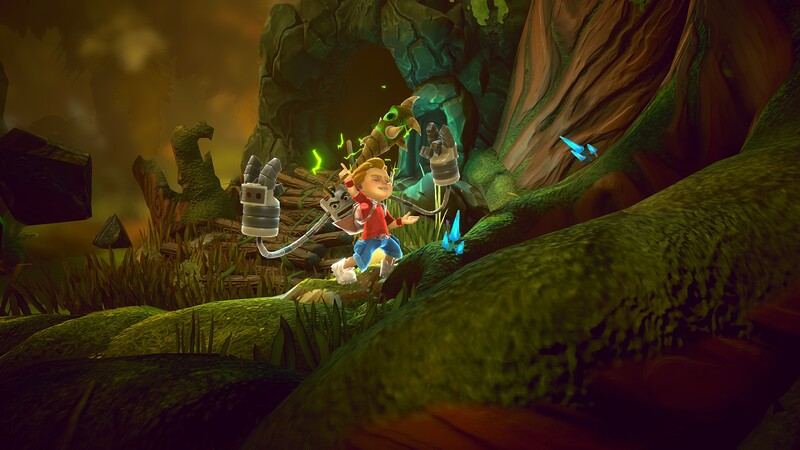 Rad Rodgers' Photo Mode is a pretty robust method for taking screenshots if you want to have more control over the angle, saturation, coloring, and more of the screenshot you want to take. It makes capturing fun moments a blast, and I appreciated that it was thrown into the mix for good measure. Rad Rodgers is a familiar yet satisfying platformer that doesn't always hit all the high notes, but it does so often enough to feel like a hit for anyone looking for a reminder of the way things were when it comes to these kinds of games. It's short, but it's also very affordable, and there's likely more to come from the developer anyway with World Two and further hopefully on their way soon. As it is, it's an entertaining throwback to a simpler time rife with silly adult humor and firepower. It's not entirely perfect, but it does exactly what it sets out to do, and I can respect that. At least it's not shareware, right? This review is based on a PC download code provided by the publisher. Rad Rodgers is available now on Steam for $19.99. Fun premise and lovable new character duo. Optional adult humor so the whole family can play. A little short for the price. Some retro elements frustrate rather than endear. Damn, too bad about the language. My younger son would enjoy this, but oh well.